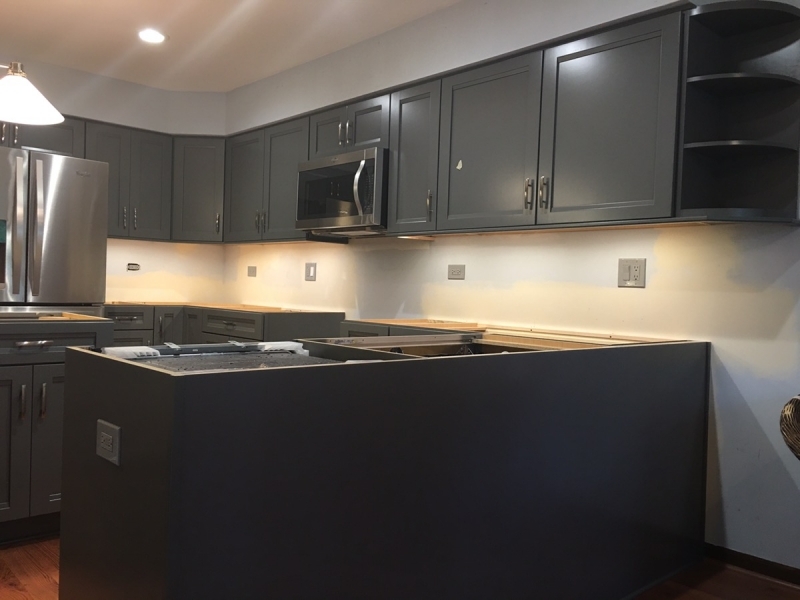 We just finished to remodel an old kitchen in the Glenview suburb, we started with gutting everything, installed new drywall, new electrical, new plumbing, new floors and we helped out laying the design for the new cabinets and then installed them. Now we are in the process to get the countertops in but in the meantime we just want to share a picture with what we have done. Countertops will come from Stone Emporium.